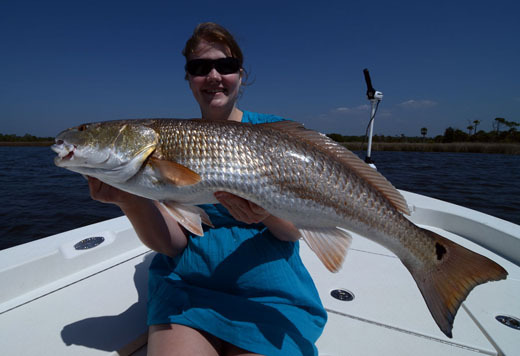 Fishing Report – New Port Richey – Slammin’ It! Wow, what a last couple of days! Beautiful weather, great company and awesome fishing! 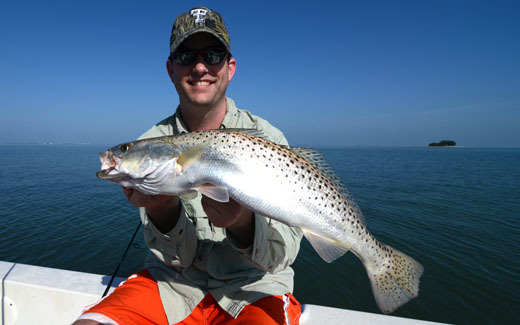 We’ve caught redfish, snook, trout, mackerel, sharks, bluefish, ladyfish and more. The key has been getting up WAY early and catching bait before the sun rises. Bait has been a little tough to come by once that big orange ball rises above the horizon. Once we’ve got bait, we head off to our fishing spots in search of monster trout. We’ve brought trout up to 15″ and 5lbs to the boat this week. Most groups have been able to get their limit while others had to settle for a few less because most of the fish were too big to keep. Reds are starting to show up in good numbers on area flats and also in the back country and they are eating some really big sardines. The fish have been between 24″ and 32″. though we haven’t gotten into any really impressive numbers of fish, the fish we’ve been getting are big and really fun to catch. 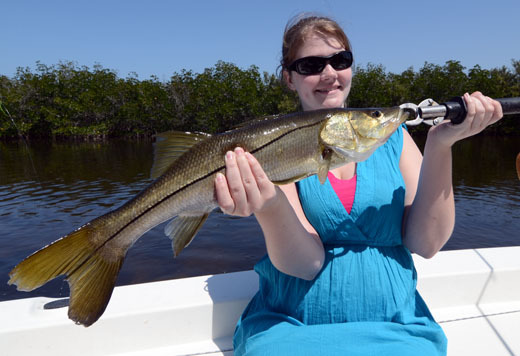 Today was the first day this year that we got into some snook. 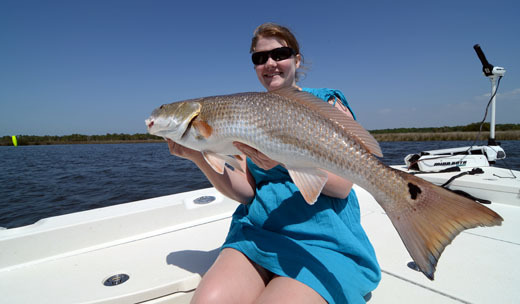 The first one to come in the boat was a healthy 30″ and the next several fish weren’t much smaller. 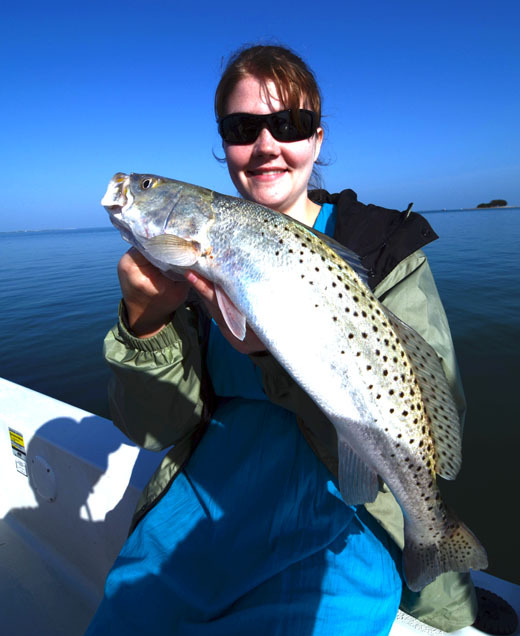 Look for the trout bite to remain strong and the redfish bite to keep getting better and better. 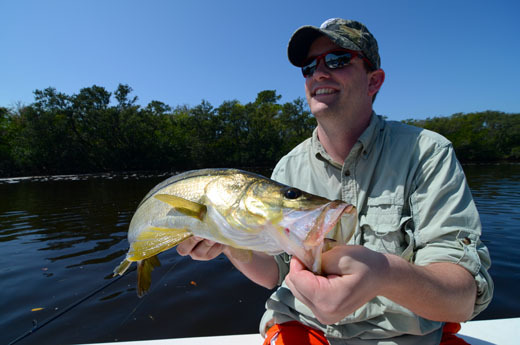 The snook may be hit or miss this year after last years extreme cold from took a lot of them out but don’t count yourself out for a shot at a 30+” snook on your next trip. It could happen… It did today.